Xolo has launches another quad-core smartphone, Q700 and it is targeted to compete against a range of quad-core budget and mid-range smartphones in the market. This is the company’s second quad-core Android smartphone in the Q Core series as the company has Xolo Q800, launched as its first phone with a quad-core processor back in March. 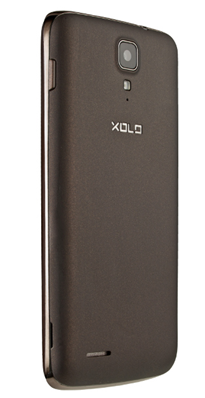 The new Xolo smartphone supports dual-SIM (GSM + GSM) and runs latest Android version Android 4.2 Jelly Bean straight out-of-the-box. Recently, while reviewing the Lava Iris 458Q, we have mentioned few specs of Xolo Q700 and today we will be comparing the two device in details as this is the recent launch of the respective company with the Quad core processor and both belongs to the similar price range. Xolo Q700 is featured with main camera of 5.0 MP which looks weak when compared to Lava Iris 458Q, which has got a main rear camera of 8 MP with auto Focus and LED flash but the secondary camera for both this device looks same . both this device got 0.3MP of secondary camera and hence it looks the Lava Iris wins the race in impressing the photographic users for this price range. coming to the performance factor, both the device is powered by a quad core device. to be more specific the Xolo Q700 i powered by a 1.2 GHz quad-core MediaTek 6589W-M processor where as we are not sure about the cheapest used in Lava Iris but probability for MediaTek MTK6589 is high. So from the performance front both looks equal and now coming toward the battery the Lava Iris 458Q got a 2000 mAh battery which looks weak compared to Xolo which pack 2400 mAh Li – Po battery and gives 17 hrs 2G talk time and 16 hrs 3G talk time. Coming toward the display size both the device got a display of 4.5 inches but there is a difference in the quality. The Xolo Q700 has 4.5 inches of IPS LCD display with OGS and the display resolution of 960 x 540 pixel which is pretty good when compared to Lava Iris 458Q which has got a 4.5-inch FWVGA capacitive touch screen display which has a bit poor display resolution of 854 ×480 pixels. Q700 has a dimension size of 135.8×67.5×10.2 mm which will be weighting 151gms. There are few internal tech that i want to add here is that this device will comes with Xolo Switch app, that would let users create multiple profiles and switch between profiles easily and also this device is featured with Xolo Secure app, that would let them lock the phone, back up the SMS and call log and track it remotely if it’s lost. The device also have Xolo Power app that optimizes the phone’s battery usage like the one provided in Lumia devices. So overall the device looks good and you can order the device online from Flipcart.com for Rs.9,999 and can view the dealer location if you want to directly purchase the from the official store of Xolo on the official site of the company.